MILIEU is the French word for “Environment”. The English language acquired Milieu during the 17th and the 18th centuries. Today, Milieu is the Physical or Social Setting in which people live or in which something happens, develops and grows. Hence the birth of HR MILIEU…. the environment in which your Human Capital operates, nourishes and develops. HR MILIEU offers a broad range of HR consulting services for that one time project, hourly consultation, or on a continual retained basis. We can provide customizable HR consulting services to fit your specific business needs. Our service oriented price model goes from Project based to hourly to Retainer relationships. Our service model is driven in a Menu Style, where YOU, the client, has the flexibility to pick and choose what fits best. Additionally, we are here to help you select services that will drive “True Business Value”. That’s the MILIEU way of doing HR. 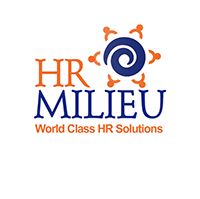 At HR MILIEU, our focus is “YOUR BUSINESS”. We measure our success through client satisfaction by providing a consultative approach to Human Resources issues that make business sense… not just HR/Legal sense.We break the HR myths and turn them into valuable solutions so you may focus on your business while we take care of your HR needs. We do the right thing for our clients, vendors and our people. As trusted partners, we execute solution keeping our client’s best interest in mind. We want to learn your business to provide advice, consultation and HR solutions based on what makes sense to your business and in the industry you are part of. We believe that in every step, Leadership is what matters. Talented people with the best training who thrive in a diverse meritocracy driving excellence, character and business courage.